Dr. Ron Ziolkowski wants to help you! Born and raised in Stevens Point, Wisconsin, Dr. Z, as he likes to be called, has always been passionate about helping people. He chose to become a chiropractor when he saw how chiropractic care can increase a person’s physiology, thereby, increasing opportunities for optimal health and optimal life experiences, which he experienced first-hand. As a college student working at his summer job, he experienced severe back pain, forcing him to be flat on his back, without being able to move as well as work. Chiropractic care allowed him to be on his feet and jogging within a week. Later while under chiropractic care, he also gained relief from a long standing digestive disorder, which was not resolved under traditional medical care. 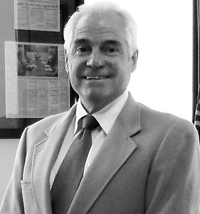 Dr. Z attended the University of Wisconsin Stevens Point to complete his undergraduate requirements and received his Doctor of Chiropractic degree from Palmer College of Chiropractic in 1982. He opened his first business that same year in Manitowoc, Wisconsin, specializing in the Gonstead Method of Chiropractic. His practice has thrived for over 30 years. Ziolkowski Chiropractic Clinic runs a variety of charity drives and fundraisers throughout the year, benefitting the Salvation Army, KAN-School Supplies, Toys for Tots, Socks for Soldiers, Lupus Foundation of America, Lakeshore Humane Society, Americans Serving African Children, and Hope House of Manitowoc. Dr. Z is featured in the Herald Times Reporter, on 1240 WOMT radio station every Monday at 10:15 a.m., and promotes health and wellness through a “5 Strategies to Healthy Living” presentation in his clinic. He is also actively involved in the Thunder on the Lakeshore Air Show committee and Americans Serving African Children. Dr. Z is on a Mission! Dr. Z traveled to Uganda to volunteer his chiropractic services to aid orphans at the African Children’s Mission in 2007. He spent two weeks helping the population and learning their health and daily needs. Dr. Z did adjustments on almost 200 students a day, in which many of them had enlarged lymph nodes as a result of their bodies fighting off the malaria that is present all throughout the area. His passion to bring health and healing to others is evidenced daily. 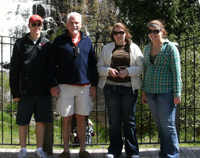 Dr. Z is most proud of his accomplishments as a father of three amazing children-Beth, Rachel and Andrew. In his hours outside the office you can see him spending time up north with his family and friends, watching movies at home, and putting his bass guitar skills to good use at church. His “recipe for health” is having regular chiropractic adjustments; taking his Omega 3 oils to support a well-balanced diet; keeping active by jogging, biking, and water and snow skiing on the local hills. Through regular chiropractic care, diet, and exercise, your body can function to its maximum ability and you will feel healthier and happier. Call our Manitowoc chiropractic office today to schedule an appointment.